Loc: Genialistide Klubi. Lai 37, Tartu. ML Stringart, Ursula Ainso & co.
Come join the PSAI Family on another journey through the psychedelic world. 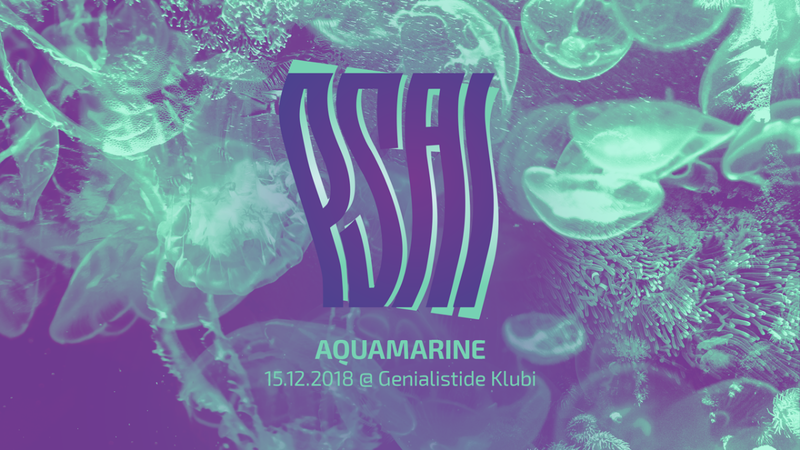 PSAI is a psy-trance event and this time we'll dive underwater to dance with the beautiful underwater creatures and to enjoy this rarely seen beauty. We'll have lots of decorations, a laser show and visual effects prepared for you. Genialistide Klubi. Lai 37, Tartu.